Total knee replacement is a surgical procedure used to treat knee joints which are worn out. Usually, this is recommended in cases of severe osteoarthritis. In such cases, the patient’s joint bones have been rendered useless due to breakdown of the joint cartilage. The procedure involves removing of the damaged cartilage and bone, and replacing it with an artificial join made of metal, plastic and other synthetic materials. This is considered a highly successful procedure reduces joint pain and enables easier movement for patients around the world. The total knee replacement surgery is deemed safe by orthopedic surgeons. However, when the patient is above seventy five years old – surgeries including TKR are generally more risky. Hence, the doctors focus more on treatments like medicine and physical therapy for elderly rather than recommending surgery. Clotting of blood is a human body’s natural reaction to a surgical wound. To restrict the bleeding, the body tries to close the surgical wound by clotting the blood. During or after surgery, if a blood clot occurs inside a blood vessel, it may block the regular flow of blood causing complications. However, such cases have been observed in less than three percent of the surgeries. Doctors usually prescribe blood thinning medicines and exercises to help improve the blood flow in the body before and after the surgery. Considering that the knee joint is exposed during the surgery, the risk of infections is always there. People with rheumatoid arthritis and diabetes are prone to infections during surgery. Also, those who already have an infection in some other part of their body such as throat, mouth or kidney may get an infection in their knee after surgery. However, all hospitals take the necessary precautions during surgery. And the cases of infections have been reported in less than two percent cases. Before opting for any medical procedures, elderly patients must be made aware of the benefits and risks of the surgery. In case of total knee replacement, a success rate of 99.75% shows that most people are able to resume normal life with reduced joint pain because of this treatment. Manufacturing high quality orthopedic implants to aid successful treatments has always been Uteshiya Medicare’s goal. To attain this goal, we make continuous efforts in research & development in the field of orthopedics and our employees work hard to attain a level of competence that truly sets us apart. 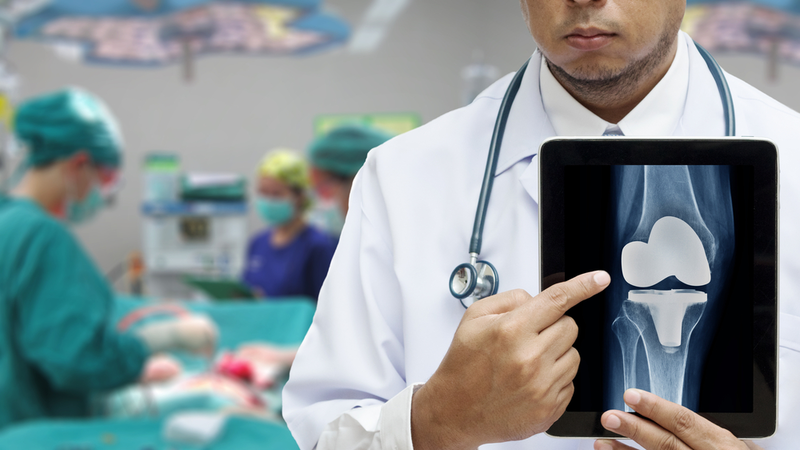 We strive to supply prime quality import substitute orthopedic implants that can help doctors provide the best possible treatment to their patients. Our focus is superior service, customer based designs and the use of modern technology.